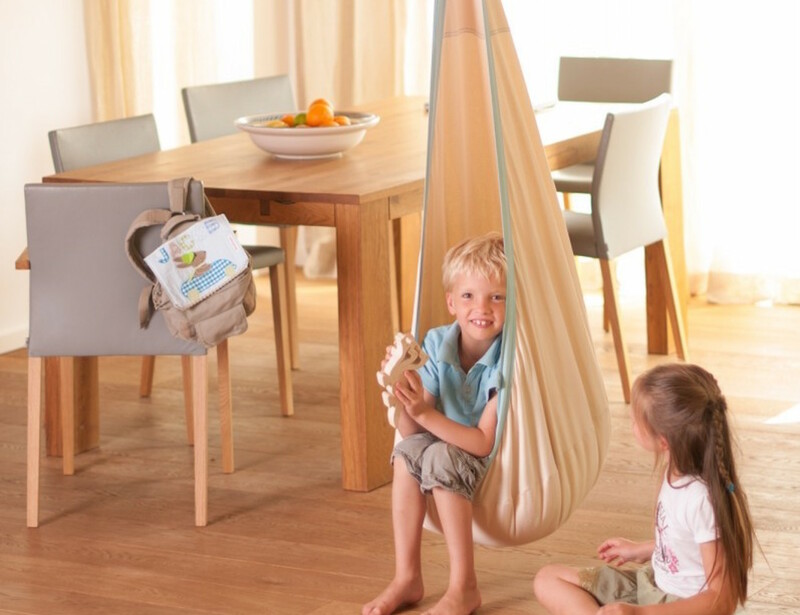 Let your kids take a load off with the Organic Joki Hanging Crow’s Nest by La Siesta. 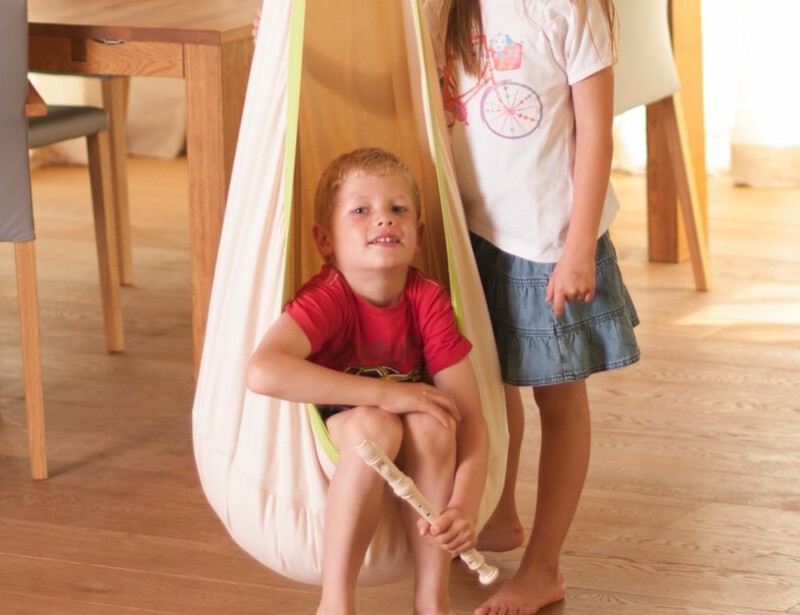 Made for children ages 3 to 9 years old, this hanging and swinging chair provides the perfect place for rest and relaxation. 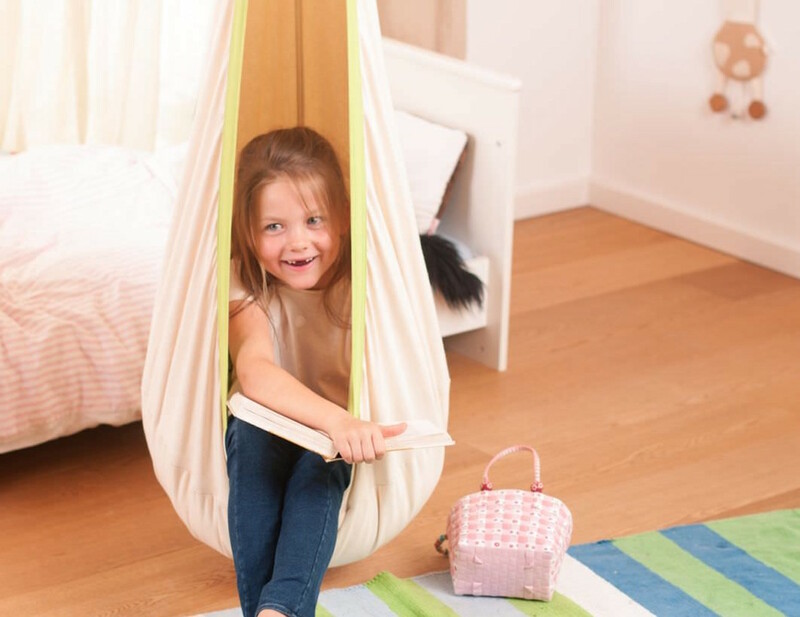 Securely hanging from your ceiling, a tree, swing set, or even a beam, the Hanging Crow’s Nest is made of 100% fair cotton. 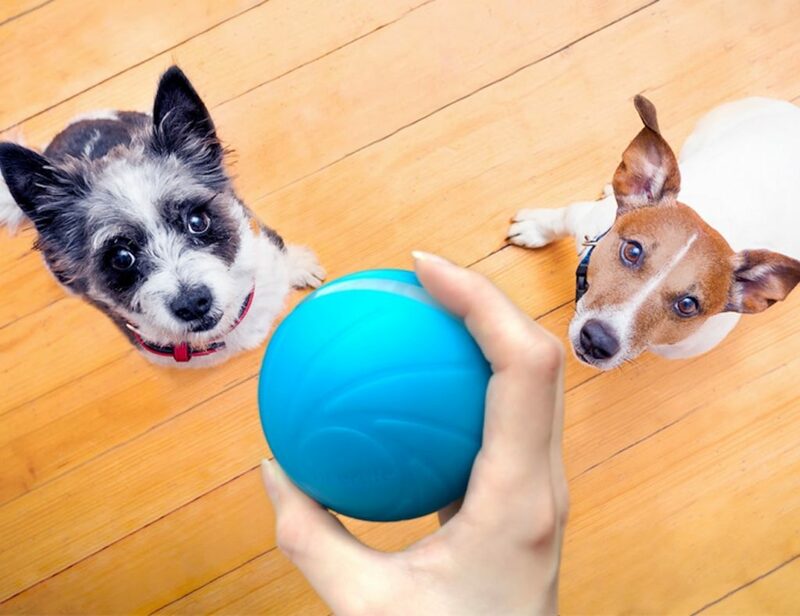 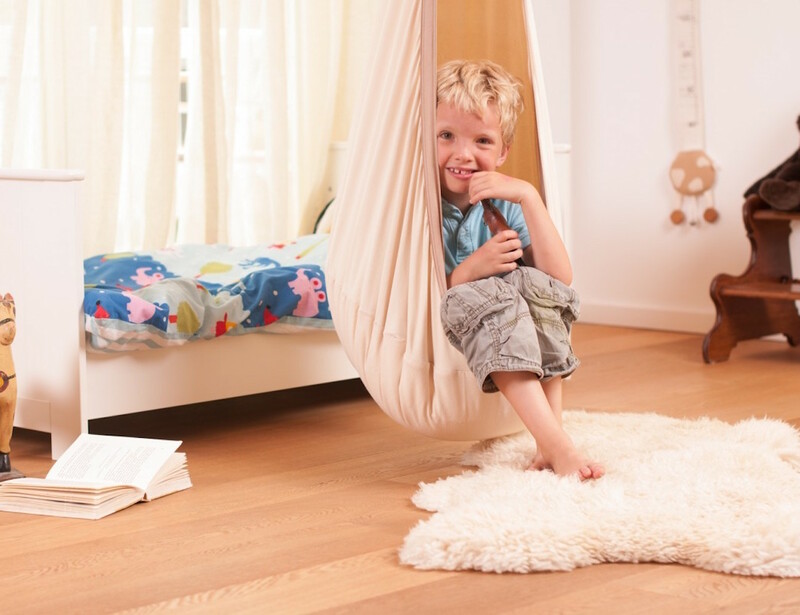 In the bottom of the chair is an ultra soft and plush pillow filled with fluffy polyester and is finished with a sturdy zipper. 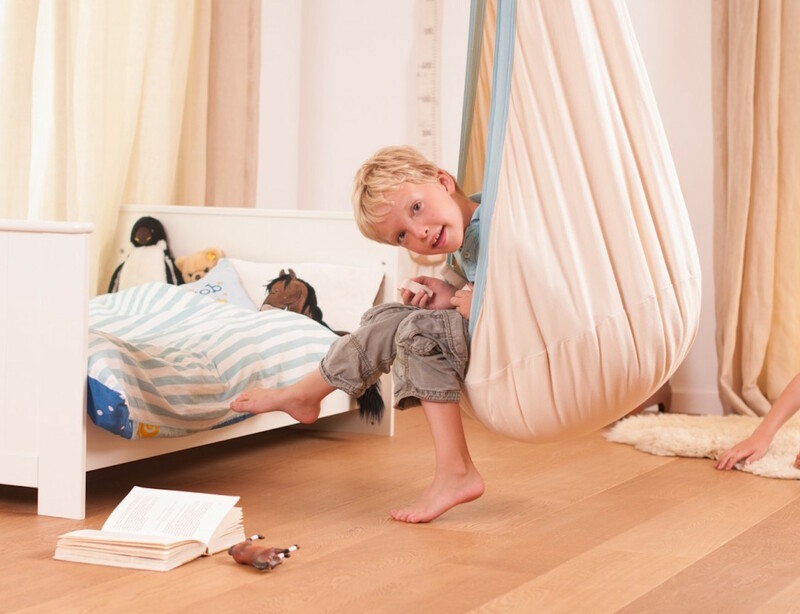 The elegant curve of the Hanging Crow’s Nest creates a cocoon-like nest, allowing your kids to play quietly, read, and even take a nap. 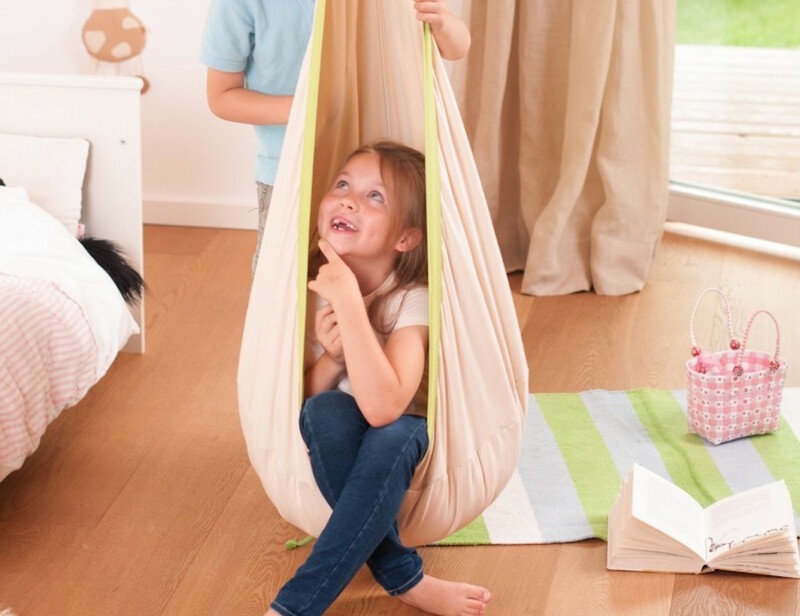 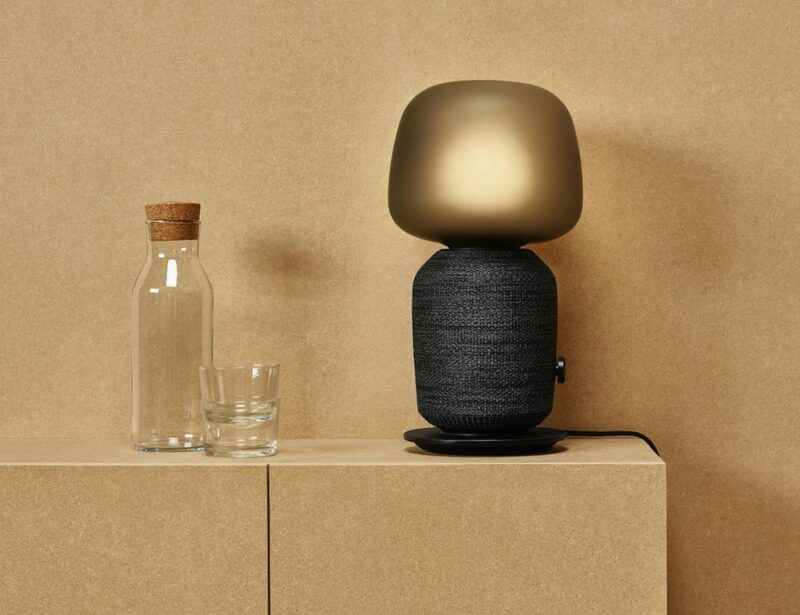 Available in three colors including Koala, Turtle, and Piggy, the Hanging Crow’s Nest is machine washable and would be a lovely addition to any kid’s room or play room.